We all love how Disney transforms their parks and resorts for the Holiday season. 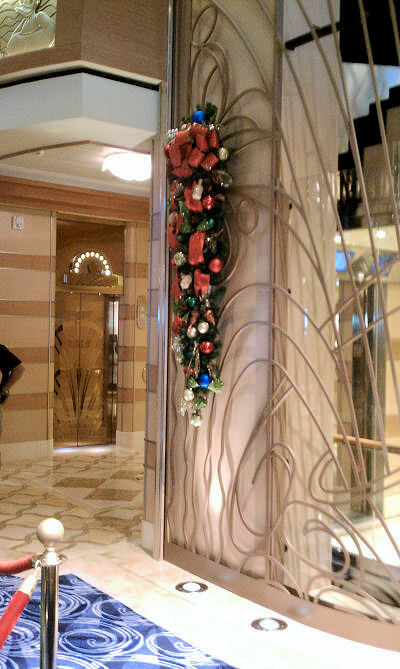 When vacationing on the Disney Cruise Line during the holidays, guests find that same magical decor! Disney’s newest ship, the Disney Dream, is joining in the festivities for the very first time this week! Guests sailing out of Port Canaveral will find themselves immersed in the holiday season, starting on today’s 3-night voyage. We were lucky enough that one of our favorite roving photographers, Ros Tobe, was on hand to give us a unique look into making the holiday magic happen! Come and take a look! 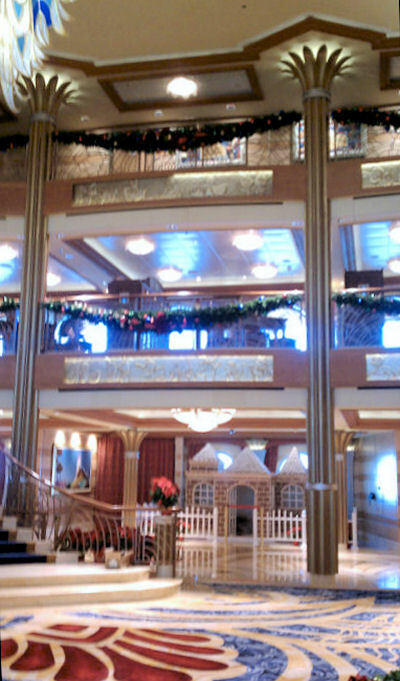 Guests who were lucky enough to sail back-to-back on the 4-night and 3-night Bahamian cruises this week were treated to witnessing the Dream’s first transformation to a holiday wonderland. As they departed the ship from their 4-night sailing, they saw boxes emerge, indicating that the magic would begin to unfold. 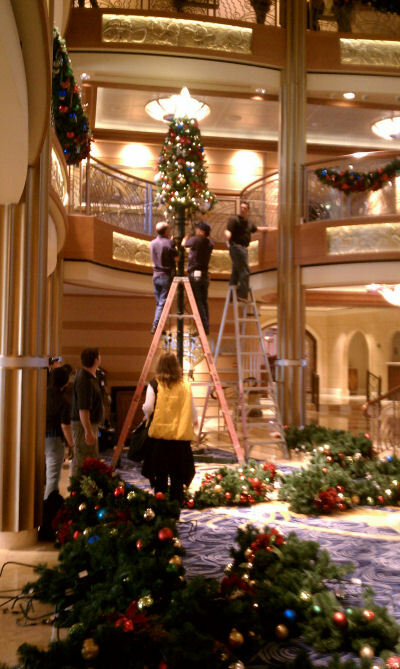 Returning to the ship, they found Mickey’s elves performing their magic. 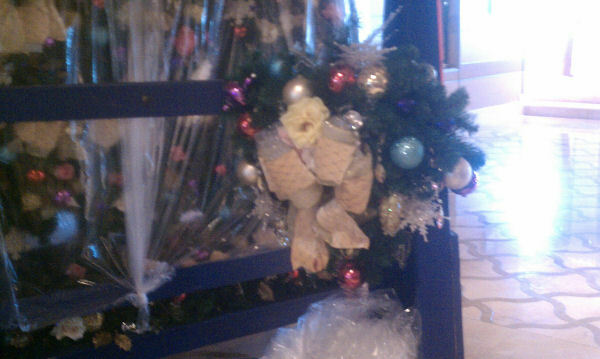 Let’s peek at some of the decor that will greet guests during holiday sailings! 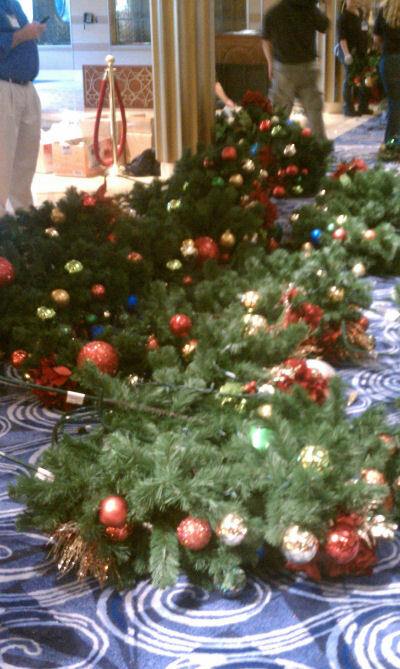 Piles of decor fill the atrium as they wait to become a tree…. 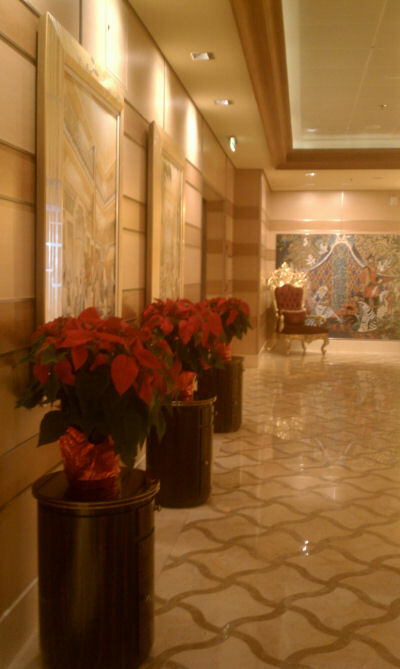 and pedestals of poinsettias - quietly proclaim the season and make the common spaces cozy. and Royal Palace. 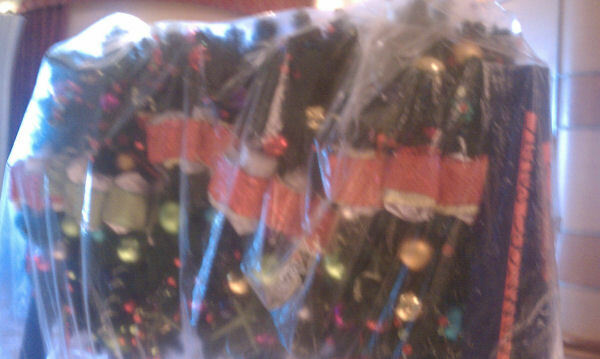 I love how this gives us a peek into how the professionals store their holiday decorations – notice the bubble wrap/tissue that hold the bows into that “ever-so-perfect” shape? Of course, nowhere is it more spectacular than in the Atrium. Rich, ornamented garlands adorn each balcony and a charming gingerbread mansion takes shape on the lower level. 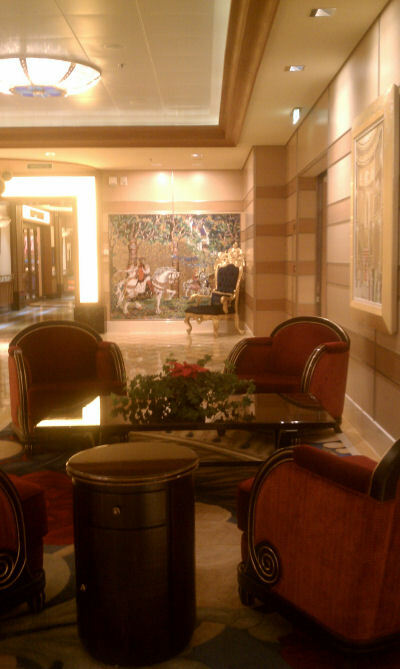 Beautiful cascades, with sparkling bows, are mounted to frame the glass elevators. 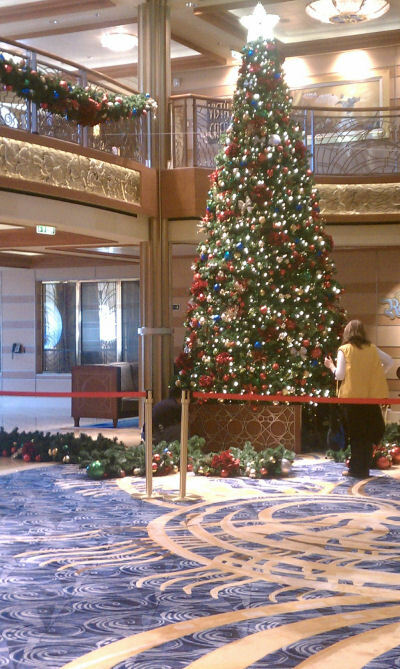 When everything is finished, it is easy to see how magical a Disney Dream can be during the holidays! Click here to indulge in Dave Parfitt’s photographic tour. Holiday photographs courtesy of R. Tobe.